Melissa, on her hospital bed, insists that Scott needs to fight back. Malia is onside for this. Especially since no-one else seems to be doing much. Even the sherriff’s attempt to convince Tamorah that Gerard is a bad guy fails - he shows off all of Gerard’s crimes but she only sees cover ups by the police (partially accurate but simplistic). And decides that Gerard being a ruthless monster is useful because it will mean he will win. And again I ask what has happened to the greater rule of law. An FBI agent has just been shot and an entire police department just rebelled - again, don’t tell me it’s to “preserve” the secret. There’s no way larger federal bodies are going to spend one millisecond listening to stories about werewolves in between the shooting people on general principles. He’s there just for advice. Which he doesn’t actually give beyond telling them to “lower their standards”. Scott snarks that they already did coming to him. So what’s lower? That would be Peter. Peter is living the high life with lots of money and fancy houses and 2 big expensive cars. He doesn’t really want to sign up for a war… and as much as I hate to say it he has a point. He has a hunter imprisoned - gives said hunter a big scary gun and lets him loose. Scott disables him… without hurting him. And after trying to talk him down. Lydia has one of her visions which is clearly from the dead hellhound (hellhounds and banshees have a thing) which leads her to Scott’s next target: a feral werewolf pack. All of which have been killed by the fear monster: their eyes nasty black holes. But it’s another body Lydia leads them to (don’t argue with the death omen) which shows them enough clues to realise the Anuk-Ite is looking for it’s second face/body. And that is a werewolf. Also Peter joins them - ostensibly because the hunters just blew up his cars. Both his cars. Which is a good reason. But impaling werewolf mind meld also revealed something else to him - Malia loves Scott. And for all his tough exterior, he is worried about his daughter falling in love with a martyr. Oh and that Aaron kid is super creepy and waaaay creepier than everything else. Also Gabe was the guy who shot up Scott’s house - and told Tamorah it was Nolan so she doesn’t kill him for lack of psychopathic instincts. Which brings us to what Teen Wolf has been teasing among the LGBTQ press for the last week: Jackson and Aaron are in London, snarkily defeating another crop of hunters with flare and skill and practiced experience. Oh and they’re a couple - a very cute, extremely fun, awesome couple. Who come to Beacon Hills - and are quickly captured and tortured by Tamorah though they don’t seem that worried by it. So, am I happy? Yes. A cute, happy gay couple who have real chemistry AND are both played by actual gay actors? Yes, I’m extremely happy by this. They’re also fun, snarky and in 5 minutes I saw a spin off which I want 10,000 times more than I want Liam & co. Downside? Well, typical Teen Wolf. The gay characters aren’t BAD. They’re just overhyped and not there. Teen Wolf has really heavily pushed it’s inclusivity cookies in the LGBT media, again, but it was a couple of short scenes - and there are literally only 3 episodes left on the entire show (hey, notice Mason and Corey are in the plot box again?). 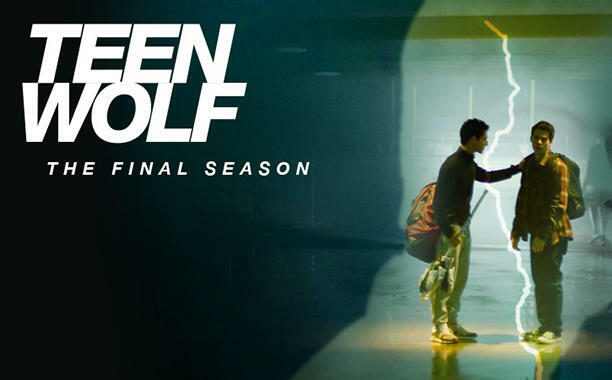 The gay characters in particular and LGBT characters in general on Teen Wolf could ALL have been awesome - but, despite the hype, are never given the chance to be.